Somewhere at the end of January 2012, after a Skype conversation with a Spanish adventurer and friend, Finnish Lapland and the Inari Lake. A few days later during a day hike in the Hautes Fagnes, I decided to talk to my good friend Dirk about a possible upcoming challenge, this time above the Arctic Circle. 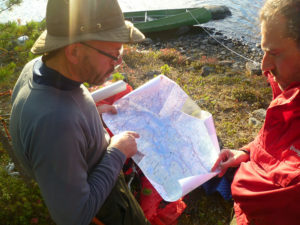 Dirk, always ready for an adventurous challenge was quickly convinced and we immediately began to organize our new project: the “Inari canoeing and hiking expedition 2012”. Afte r some brainstorming the plan was clear: circumnavigating the whole Inari Lake by canoe, and taking the necessary time for exploration and day hikes. We counted on a journey of 19 days. Inari Lake is the fourth largest lake in Finland and the sixth largest lake in Europe. 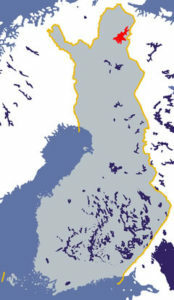 The lake is located in Finnish Lapland, North of the Arctic Circle. The lake is 80 km long and 50 km wide. It covers 1040 km ² and the maximum depth is 92 meters. In cold winters, one can even find ice on the lake until the end of June. There are about 3300 islands on the lake. 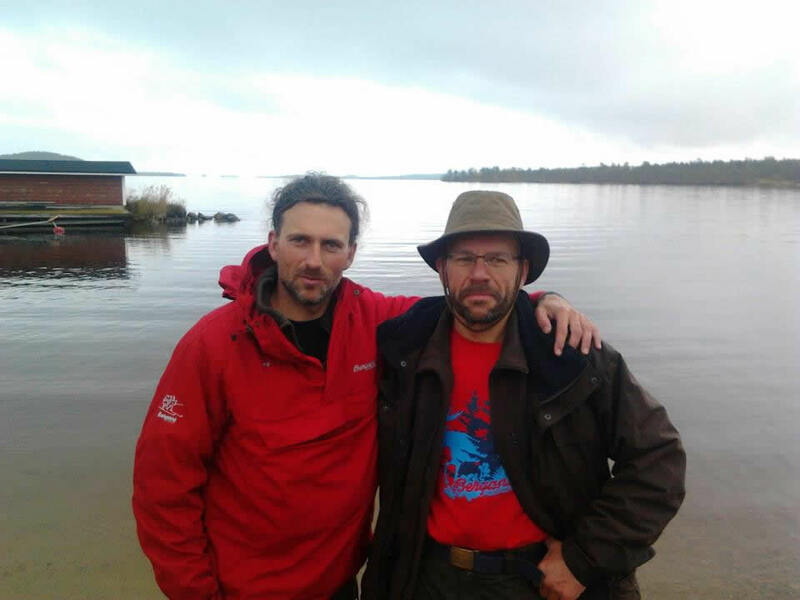 Besides exploring the largest lake in Lapland, Dirk and I set ourselves two additional goals: to inspire others to go discover nature, and also promoting GoodPlanet Belgium, a young organization working on ecology and sustainable development, which I am working for. 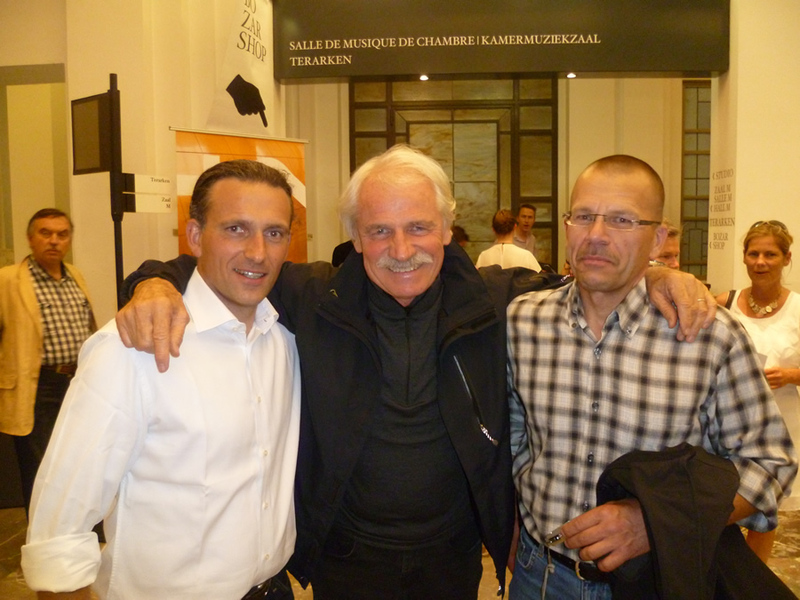 The choice of the ‘patron’ of this expedition fell on famous French photographer and director Yann Arthus-Bertrand. 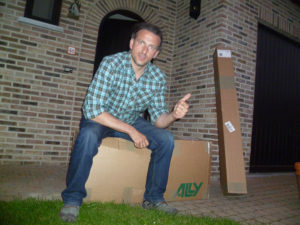 The honorary president of GoodPlanet Belgium was very excited about our adventure and accepted immediately. A time consuming but exciting and rewarding pastime! Bergans of Norway was thrilled about our plans and provided us with a folding ally canoe and the right clothes to withstand the wet Lappish autumn. Obviously, there was also a good amount of training to be done. At least once a week we took out Ally for a training session on the Leuven canal, and at the weekend we went hiking regularly in the Hautes Fagnes, and we both trained individually to be in the best shape possible. On Saturday, September 8th it was finally time to leave. We departed from Brussels via Helsinki to Ivalo, a town about 20km South of the Inari Lake where we were warmly welcomed by Satu and Walli. On Sunday morning, after picking up our gear and materials ((Ally canoe, tent, sleeping bags, food, etc …) which we had sent to Ivalo a couple of weeks before, and buying some more fresh food, we headed for Inari village, at the shore of the immense Inari lake. Once arrived at the lake it all became very real. 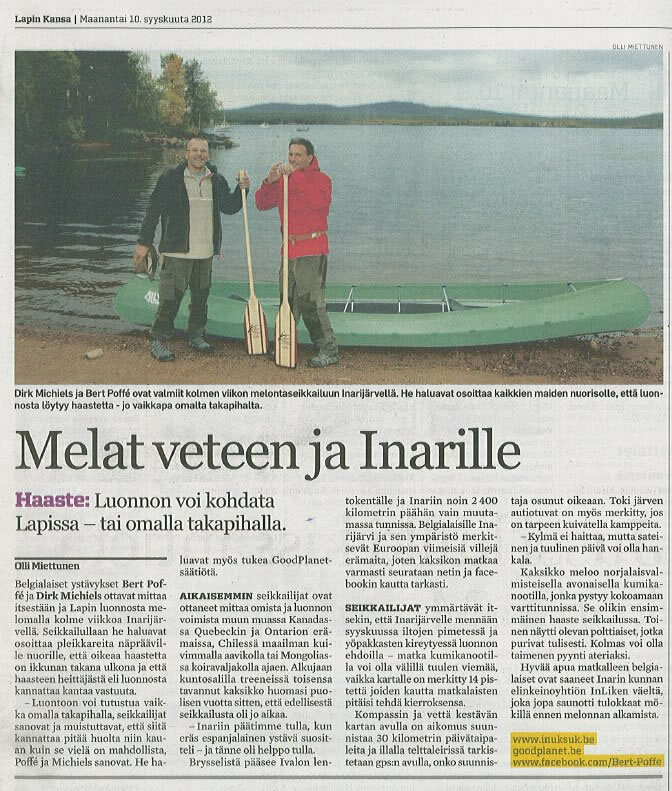 We assembled the Ally canoe, arranged our materials and spoke to a journalist from Lapin Kansa, a Lappish newspaper about the upcoming adventure. The friendly man took the opportunity to recall the fact that the Autumn was approaching now very quickly and that even the first snow would be there soon. On Monday September 10th, at the start of our expedition, the weather was very favorable. Not a breath of wind made paddling pleasant and in the evening we found out we had covered over 32 km. As a bonus we also found a wilderness cabin with all the basic comforts; a roof over our head and a wood stove to warm up and dry clothes. The following days were a different story. The wind blew unusually hard on the lake, which to me looked more like an ocean than a lake. Luckily Ally proved to be reassuringly stable, partly due to the fact that our canoe was loaded pretty heavily. Nevertheless, we decided not to test our luck for too long. Whereas during the first few days we had been crossing large distances in the middle of the lake, we now became a bit more careful, paddling closer to the shoreline and when necessary we even went ashore to wait for less wind before going out there again. weather was too bad to celebrate this success for too long. After a high five we just got on with our business as usual, making camp, preparing food, checking equipment and that personal belongings dry, then going to sleep early. The next day we returned via the Kyynel Lake and Kynnelfjord in the direction of the Inari Lake and then headed southeastwards to go toward the Russian border. Every day we received the RMI specific weather update. It helped us enormously; to plan the routes for the following days and to change plans depending on the wind direction and wind speeds. Weather in Arctic Lapland is highly variable. Every now and then the fall starts to become way to gray, but then there is suddenly a piercing ray of sunshine through the clouds that brings color into the peat, mosses and berries, so typical for this Scandinavian landscape. 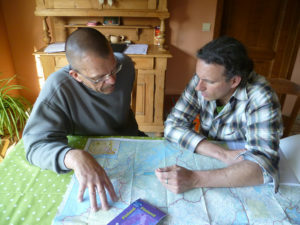 During the expedition the GPS has proven its value much more than expected. Previously we planned to use it only as a backup. Once on site, however we soon realized that a huge lake with over 3000 islands is extremely difficult to navigate. The combination of map and GPS turned out to be just the right formula. On the way to ‘Russia’, we decided several times, because of our safety, to go ashore and wait for the wind to die out. The wind was blowing way too hard and the waves became more aggressive by the minute, which made paddling useless and dangerous. Our bodies held together pretty well, of course crawling out of the canoe after a full day of paddling was not always a pretty sight, but we were spared from major physical discomfort. One day we had been very close to hypothermia. We had paddled all day in the cold and constant rain and were soaked to the bone. We were lucky to find a Lavo (a Lappish shelter and fireplace) where we could warm up and where we decided to spend the night. On day 13, after 220 km, we reached the Russian border, again an important moment for us. After one more loop around a group of islands in the middle of the Inari Lake, we headed Southward in the direction of Inari, village, where after 19 days the journey would end. Thanks to the experience we had gained with the ever-present wind, we felt quite confident we would manage this without too much trouble. But as always, the devil is in the detail. On paper, the planne 14km from the ‘penultimate’ camp would not be any problem. But despite the beautiful sunshine it became a long hard battle with the icy wind and aggressive waves. The constant zigzagging to avoid the waves smashing into the canoe from the side made that the planned 14 km towards our final destination, the Inari village, 21 hard-earned kilometers.. Undoubtedly this was one of the worst days of the expedition. At one stage, 15 km paddle from our final destination a new storm hit on us and made us stay put in the tent, waiting for better weather. 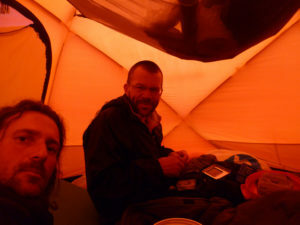 Eventually, 24 hours later than planned and after staying in the tent for 36 hours, our last stage could begin. 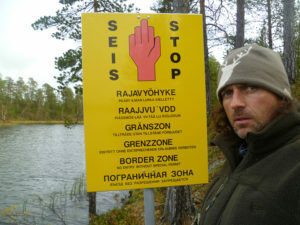 It seemed like the Inari lake wanted to show its teeth once more and make us understand who rules on Inari. On day 20, one day later than planned and less than 24 hours before our scheduled flight to Belgium, we were able to reach Inari village . Satu and Walli welcomed us and emotional high fives and intense hugs were shared. Hot coffee and dry clean clothes were the best reward for a 350 km long unforgettable canoe expedition on the largest lake in Lapland.